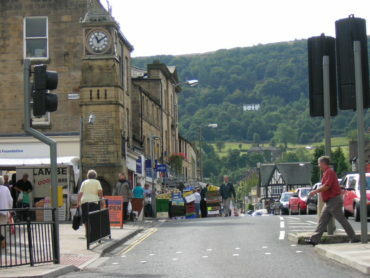 Problems like Otley’s housing crisis, where we have a rudimentary numerical problem of too few homes for too many people … the answer is clearly to build more property in Otley – but that, unfortunately for those desperately seeking to purchase or let a property, takes a lot of time and huge amounts of money. So what of other solutions? The most recent set of figures from 2015 state there are 10,135 empty homes in the Leeds City Council area. So it begs the question … why not put them back onto the system and help ease the Otley housing crisis? Whilst they stand empty, 18,118 Leeds households (not people – households) are on the Council House Waiting List for council houses. Surely, we can undoubtedly all agree that property left empty for years and years isn’t morally right with the burgeoning Council House Waiting List, not to also mention the issue of homelessness. But a different story emerges when you look deeper into the numbers. Of those 10,135 homes lying empty, only 2,679 properties were empty for more than six months. The local authority has to report a property being empty, even if it’s for a week. So many of the Otley properties are either awaiting new homeowners or, in the case of rental properties, new tenants. Also most certainly, some properties are being refurbished and renovated, while other properties have homeowners who are anxious to sell but cannot find a buyer. And this is where its gets even more interesting. Of the 2,679 long-term vacant properties (those empty more than six months), 421 belong to the council. However, before we all go Council-bashing, anecdotal evidence suggests these empty council houses are habitually in need of so much restoration that it’s not worth the Council’s while to do and are in the roughest parts of the council estates, they are properties that even the Council find difficult to fill. The fact is that the number of genuinely long term empty properties is only a tiny drop in the ocean of the 320,596 properties in the area covered by Leeds City Council and, even if every one of those empty homes were filled with happy cheerful tenants tomorrow, it would only meet a small fraction of Otley housing needs. So what does this mean for all the homeowners and landlords of Otley? Well it means with demand being so high, especially for rental properties, the certainty of the rental market growing is an inevitability because young people cannot buy and councils don’t have the money to build new council houses. This in turn bolsters property prices as landlords continue to buy at the lower end of the market (starter homes, etc), which in turn sustains the rest of the market as those sellers move up the property ladder, releasing others in turn to buy on again. These are interesting times in the Otley property market!